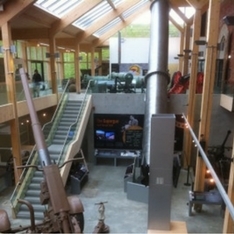 We have been honoured to work with the county council's and heritage organisations on electrical and mechanical projects at museums across the country. Some projects have involved full electrical design for newly built museums or extensions, and others are refurbishments in buildings that are historic treasures in their own right. Our team have extensive experience of working with museums and historic buildings, tailoring solutions to meet the precise needs of our clients. We work in close liaison with the main contractor, architect, consultant and client, coordinating work to cause the least disruption for the museum and its users. Technical electrical and mechanical design for temporary and permanent exhibition spaces. Redesign of mains electric supply and wiring infrastructure. Display case lighting and control systems. Integrated data and communication networks. CCTV, beam detection and security alarms. Electrical testing and PAT testing. Design and installation of heating, ventilation, gas and air conditioning systems. Please refer to the case studies on this page for examples of our work for previous clients. 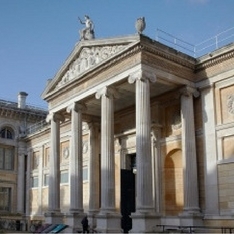 To discuss a project on behalf of a museum, please call one of our two offices for an initial chat: Oxford 01865 322200, or Southampton 02380 614700. You can also send us a message through our online contact form.